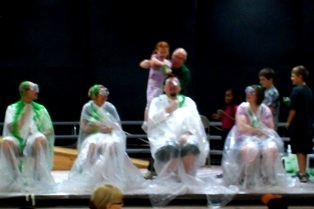 Several weeks ago our PTO president asked me if I'd fill in for our PE teacher for the PTO Fundraiser Rewards....I thought she had something about a pie to the face. I was game. 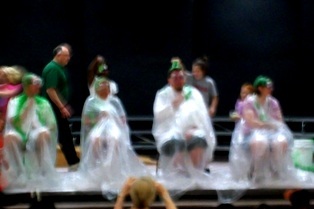 I did not realize would be today(our Fun Day)...and did not realize it would be SLIME(green applesauce..COLD green applesauce! )...and I did not bring a shirt to change into afterward?!?!?! 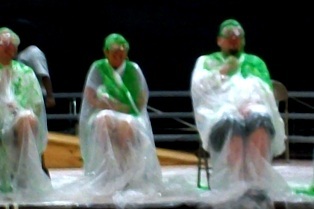 GUESS WHO WAS THE MOST POPULAR TEACHER TO BE SLIMED!!!!!!!!!! Yep! Oh my. If I can get a better picture from someone else..I will. I just threw my camera at a teacher and said snap some pictures please!! 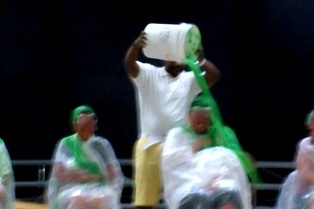 Oh..and get this....the PE teacher was there watching?!?!?!?!?!?! ask the students who should get it, but still...I'm holding him personally responsible! At this point I'm thinking....how will I get back at my assistant principal?!?!?! Ick!! I'd say you are an exceptionally good sport!! that day! I am also sure there were huge smiles on the little faces! Oh MY!!! You are officially AWESOME MR. E!!!!! And what did you do AFTER you were slimed? I'm such a mom;) first thought was, that will get all over the car! APG..no worries! 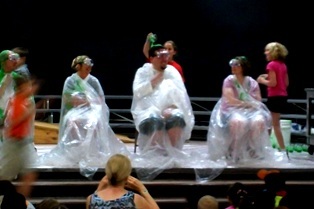 The PTO prez had shampoo with her(she was slimed too)..and then my wife brought me an extra shirt(she was bringing the kids to fun to anyways). 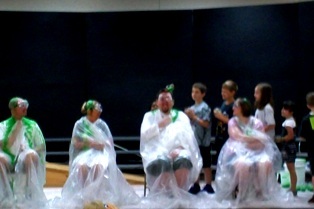 Well I must admit, I have never been slimed or had a pie in the face, but I'm all for harmless silliness! They must really love you!!!! If they didn't love you so much, they wouldn't have slimed you!What fun and you have just proved to the kids and everyone else that you rock! I love this!!! What great memories you have created for your students!! and yourself! mpetesm epoweigIncredibly Hulkish...what fun....Green Head Ted!